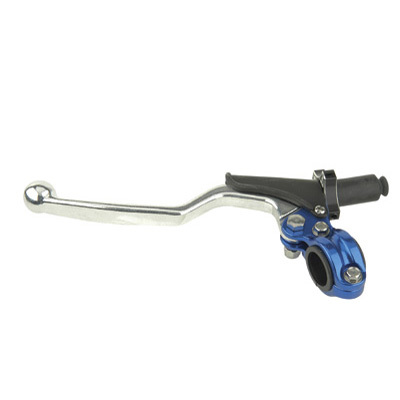 The Tusk Quick Adjust Clutch Lever Assembly is a great way to replace your broken or wore out clutch lever assembly. The assembly has a universal fit for motorcycles using a cable style clutch. 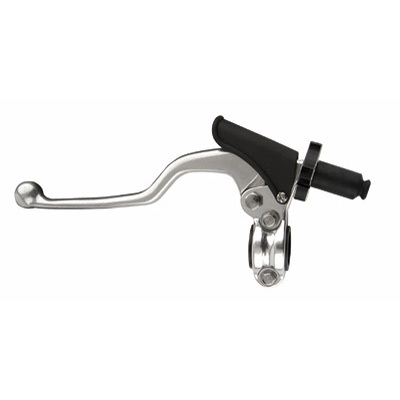 Features an over-sized thumb wheel with a locking ball bearing that allows easy adjustment on the fly. Constructed of a strong, lightweight cast aluminum. Think Tusk for all of your motorcycle, ATV, and UTV needs. Universal motorcycle clutch lever and perch. Features an over-sized thumb wheel with a locking ball bearing allowing on the fly clutch adjustment. Made of strong, lightweight cast aluminum. Motorcycle cable type fitment only. Available in silver, blue, or red. Does not work with hot start decompression lever systems.